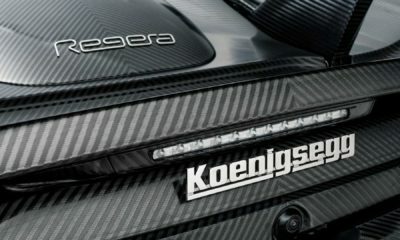 There are numerous videos on the internet of the Koenigsegg Regera just driving down the street or walkarounds of a stationary car. But, there have been very few videos from behind the wheel that really show the Direct Drive powertrain in action. 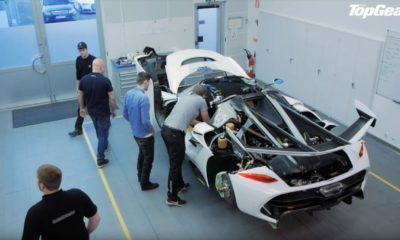 In fact, the only detailed video of the car from inside was when Christian von Koenigsegg drove Shmee150 around the Koenigsegg factory in Angelhom. Well, Supercar Blondie – the only female supercar vlogger (shout out to her for that) filled that void in her latest video when she took a Regera out on the streets of LA. The cherry red Regera belongs to @dan_am_i and is the first customer Regera. 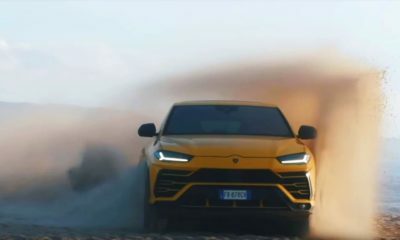 The video also reveals a lot of details and easter eggs, one of which is the “turtle mode” which limits the performance if there is a problem with the car. And of course, this is one of the first videos where you can clearly hear the sound it makes through the Akrapovic exhaust system. Watch the the video to see the Direct Drive in action and yes, who can forget the Ghost mode, which I’m sure you have seen it in action before.